The Manderville Gold Saucer is now live in Final Fantasy XIV: A Realm Reborn, and it's every bit as joyful as I imagined. Join me as I participate in mini-game gambling, Chocobo races, the Triple Triad card game and some impromptu beatboxing. 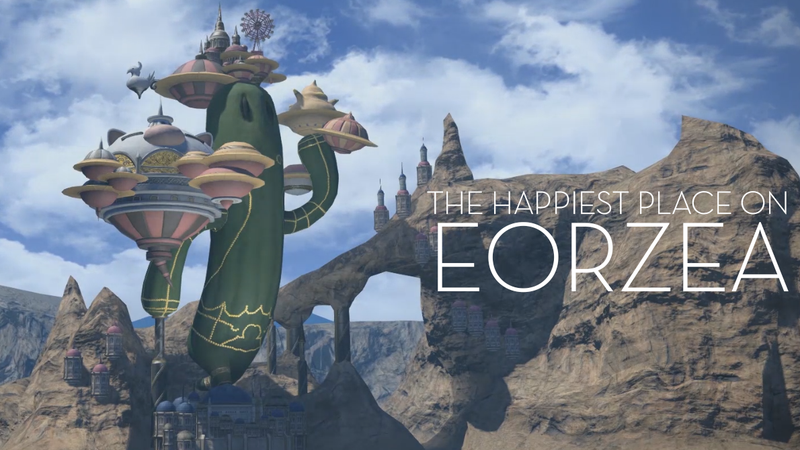 Join me as I transport myself via semi-feline avatar to the happiest place on Eorzea, now open for business. As this is a video tour, those of you averse to watching long videos might want to feel bad about it, but not too bad—I briefly sing in this, so you dodged a bullet. Also note that there is a portion of this video, we'll call it 11:15 to 15:15, that I meant to edit out. While the edited version renders, feel free to skip it. Looking for just the highlights?